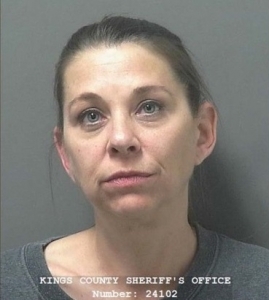 HANFORD, CA (KMJ) – A kindergarten teacher in Hanford is arrested on suspicion of child abuse. At around 8:00 Tuesday morning, the Hanford PD School Resource Officer Unit learned about the alleged abuse taking place at Lee Richmon School. Hanford Police said an underage victim allegedly sustained injuries through a teacher’s actions. An investigation was launched, and as a result officers placed 44-year-old Melissa Ediger under arrest for child abuse and intimidating / dissuading a witness. She was booked into the Kings County Jail on April 9, 2019 but released the same day after posting bail.